"Simply staggering in quality... Sherries such as these remain among the last great unknown wine bargains of the world. They must be tasted to be believed!" Emilio Lustau SA was founded in 1896 by Don José Ruiz-Berdejo. In the beginning, Lustau was essentially an Almacenista, a modest estate with small holdings that sold most of its wine to large exporting Bodegas. It was not until the 1950s that Lustau became Emilio Lustau SA, and it joined the prestigious ranks of a select group of exporters of Sherry. 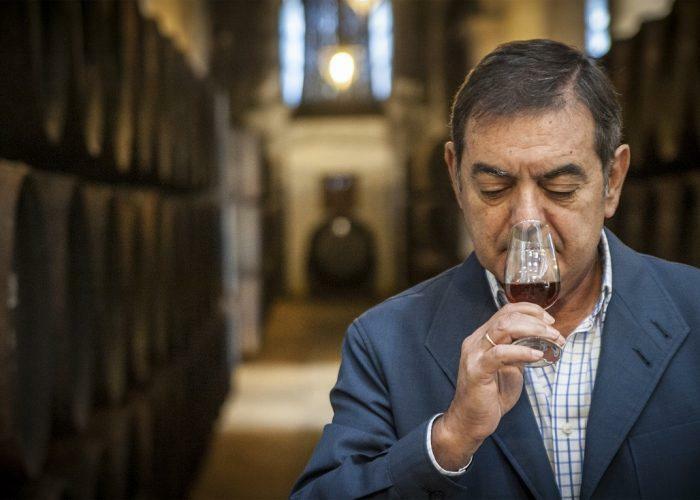 In the early 1980s, Emilio Lustau SA, then under the management of the late Rafael Balao, became one of the most innovative companies in Jerez, launching the "Almacenista" line and creating the distinctive bottle that we know today. Lustau is now widely considered one of the finest producers of Sherry, with their Almacenista line breaking new ground in hand-crafted, boutique wines. These Sherries, drawing on rare and marvelous wines held by small producers, are some of the finest Sherries made today. Lustau offers a wide array of Sherries; bone-dry Finos are wonderful matches with garlic-y shrimp and langostinos. Racy Amontillados balance power with finesse and are wonderful with nuts, olives, cheeses, and jamon Serrano. Powerful Olorosos can be served during a meal and match well with traditional soups and stews. Of course, the wide range of dessert wines from Lustau are unparalleled; the elegant East India Cream Sherry is as soft as silk, the Moscatels offers a delightful citrus edge that keeps the wines lively on the palate while the dark Pedro Ximenez is best served as a "syrup" over vanilla ice cream, pancakes or waffles.